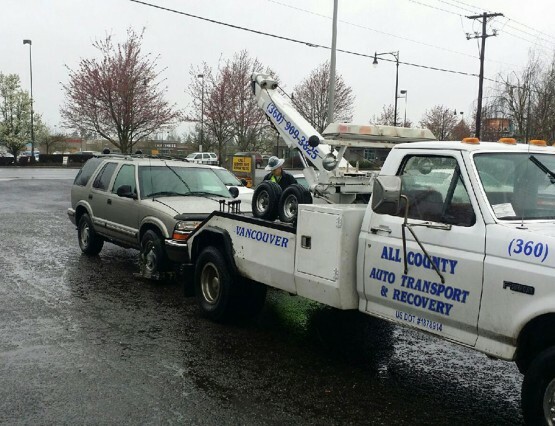 Need a Tow Truck in Vancouver WA? 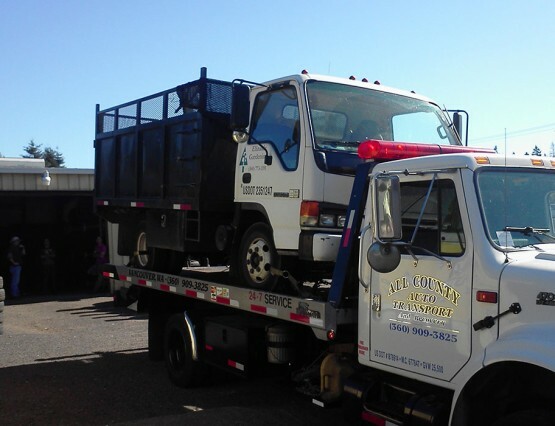 Why Choose All County Auto Towing for Your Next Tow or Road Service? 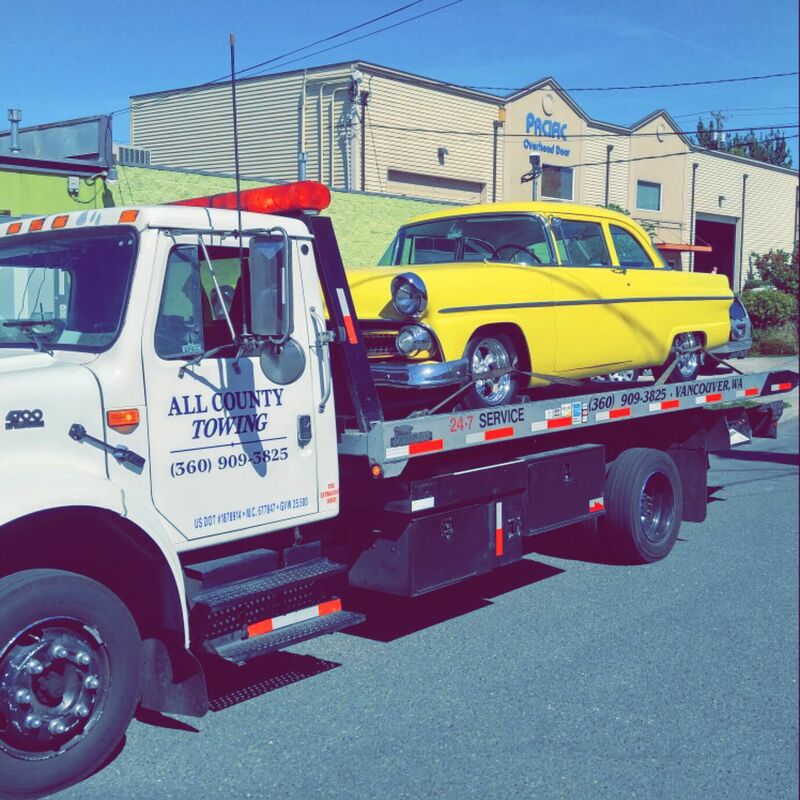 All County Auto Towing in Vancouver Washington is dedicated to providing professional, safe, effective and affordable towing services and roadside assistance 24 hours a day. Specializing in flatbed towing, affordable lockouts, jump starts, fuel delivery, winching services and more. 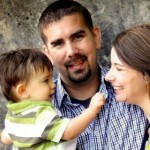 Serving Vancouver WA, Battle Ground WA, Camas WA, Ridgefield WA, Brush Prairie WA, North Portland OR and more. These guys are courteous professionals! 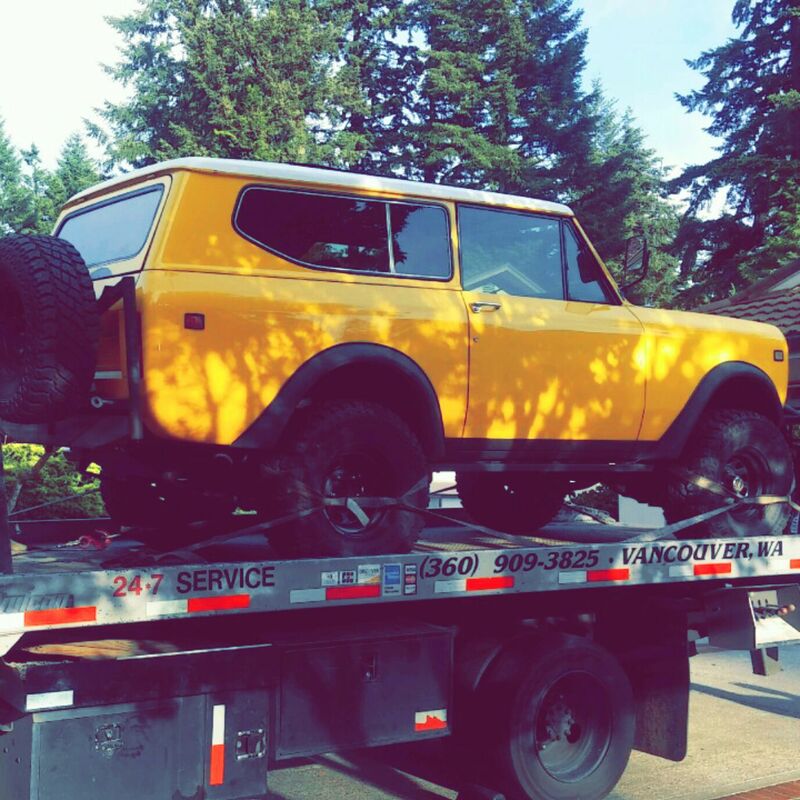 Living in Vancouver for four years I had yet to find a towing company I trusted, until these guys helped me out! I thought I needed a jump start so I called them to come out. The owner actually came to jump start me and when it was clear I would need a tow, he set up a tow for me and did not charge for the jump. The tow was definitely reasonably priced. I was really pleased with the kindness and professionalism of both Steve and the driver who ended up towing my car. Thank you so much! Hopefully I won't need to use their services in the future, but if I do, I will be calling this company! 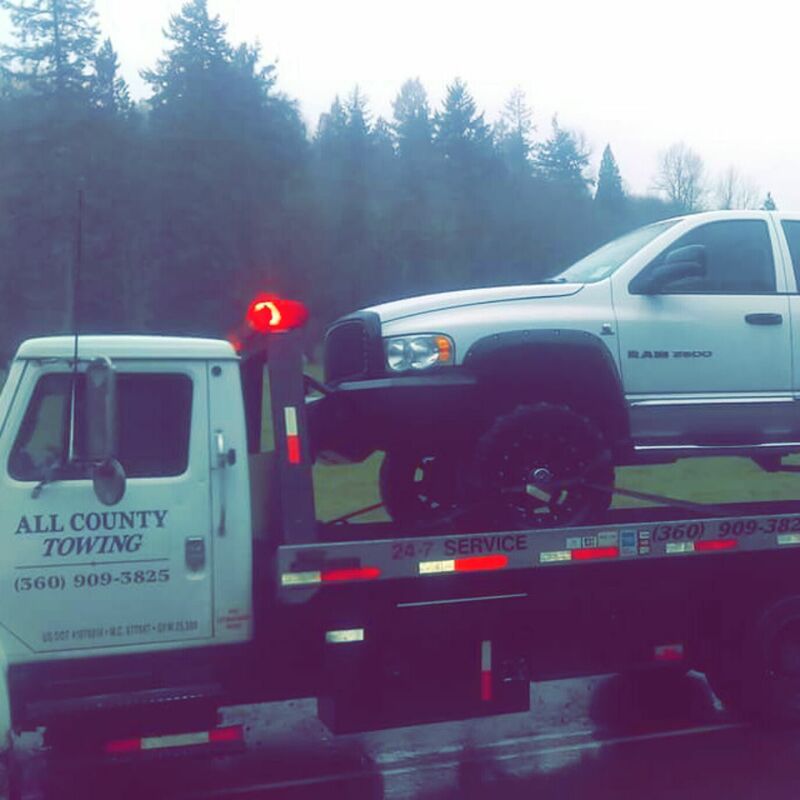 I had an employee's work truck break down on I-5 at about 9pm last night and was thinking it would cost me a lot to get it towed to a mechanic. I called All County and they answered right away, quoted a price far less than I expected and had a tow truck on site within about 40 minutes. 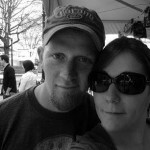 The driver was very nice and everything went smoothly. These guys are definitely my preferred towing service in the future for my business! 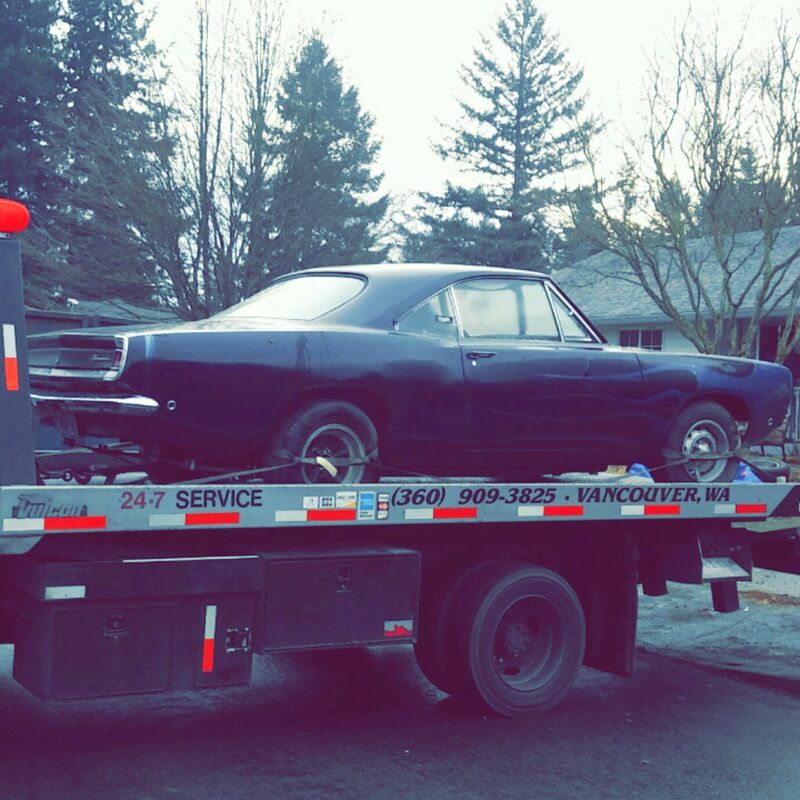 Fastest and most professional tow truck service in Vancouver, WA. 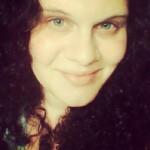 The dispatcher was very helpful and nice. The driver was prompt and polite. It can be a bit scary on the side of the road at night so it was a relief to have a towing company that cares just as much about the customer as they do for getting the job done right. I highly recommend All County Auto Towing. 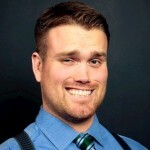 I was broke down on the side of the road on I-5 in Vancouver and when I called All County towing the owner answered immediately and was very prompt in showing up and getting me and my car off the road and on the way home and his rate was waaay better than anyone else in the area for towing sercives! 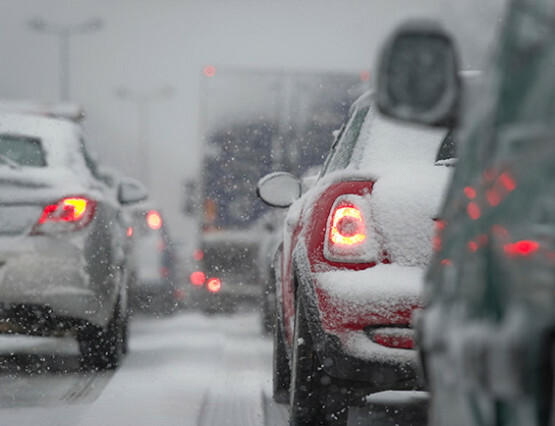 road and turn on your emergency flashers. Locked out of your car? Left your keys in the ignition? We can help you out and unlock your car. premium fuel, just let us know when you call. Stay cool out there this weekend as it's gonna be a hot one. 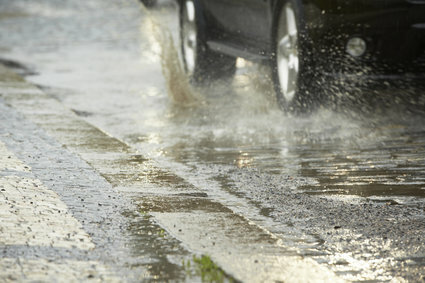 Stay hydrated & make sure to check your vehicle's coolant as well. Drive safe. Time for the classic car cruises, meets and shows again so make sure your sweet old ride is roadworthy after setting this winter. Sweet Tow of the day. 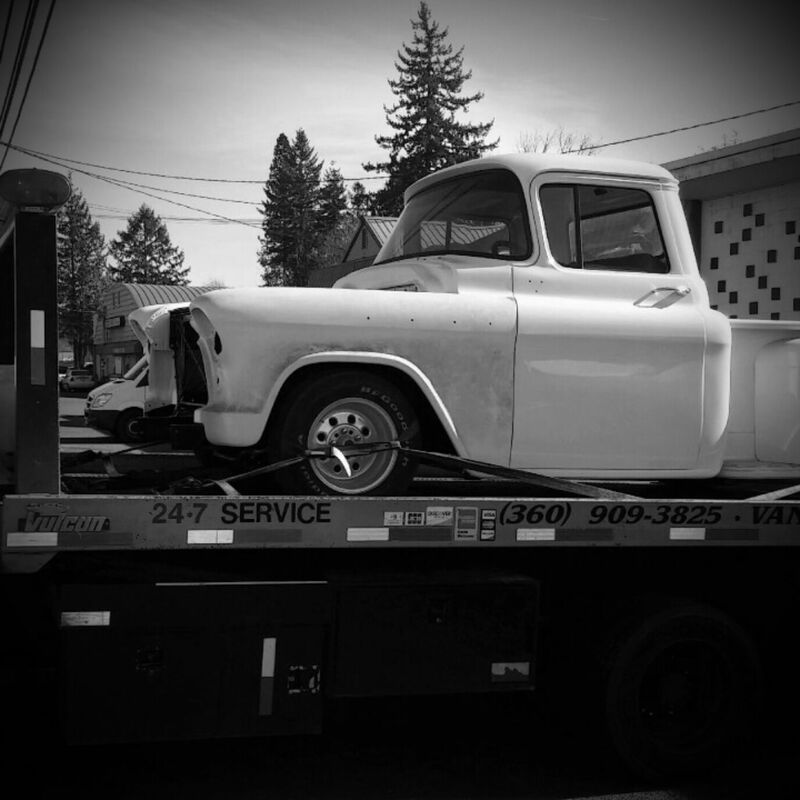 If you have a classic car that needs a tow or service we are here for you. 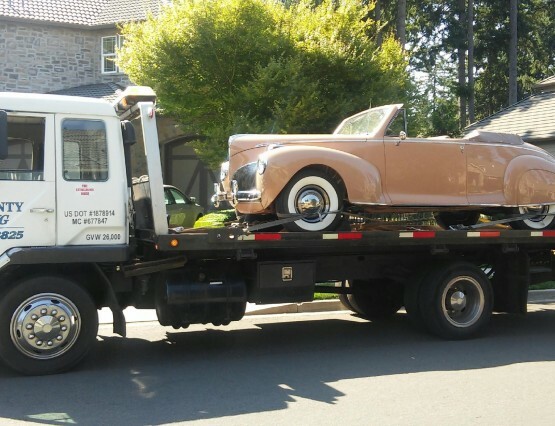 Multiple flatbed tow trucks available for your classic vehicle. We are automotive enthusiasts too and will take great care of your vehicle. 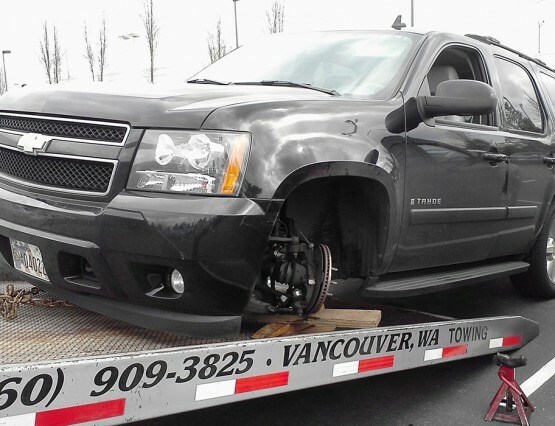 Vancouver Washington towing service for your car, truck, van or suv. Multiple trucks available for immediate service.